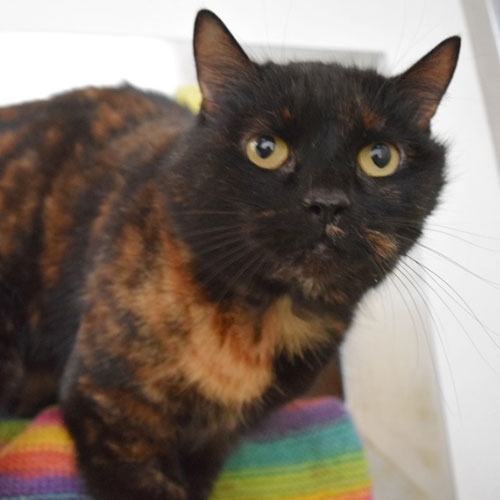 Minx is a sweet and social cat on the lookout for her forever home! 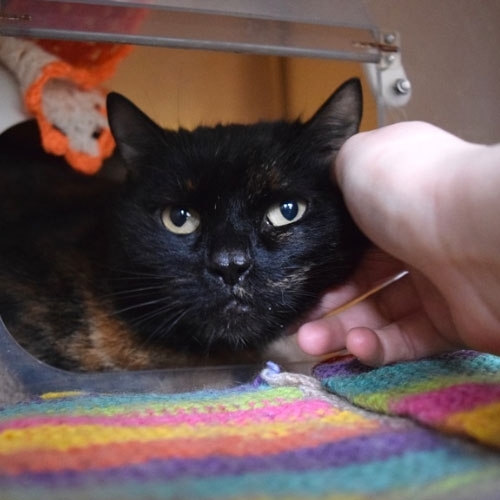 We do not know much about Minx's history, but it is clear she enjoys company from people. Minx took a little while to settle in the cattery and has found the new environment quite daunting. She is a timid girl who is looking for a quiet home with a family who can understand she needs time and space to feel secure. As Minx gets to know you, her loving side shines through, rewarding you with endless amounts of love and affection. 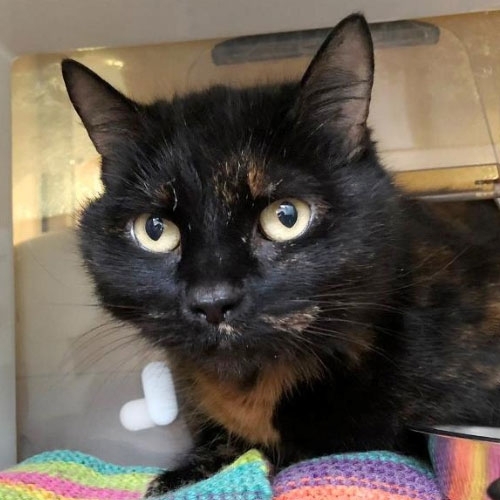 Minx will require outside access with a cat flap if owners work full-time so she can come and go as she pleases, enjoying the wonders of the outdoors. Prospective owners will need to speak to a Battersea vet prior to rehoming.